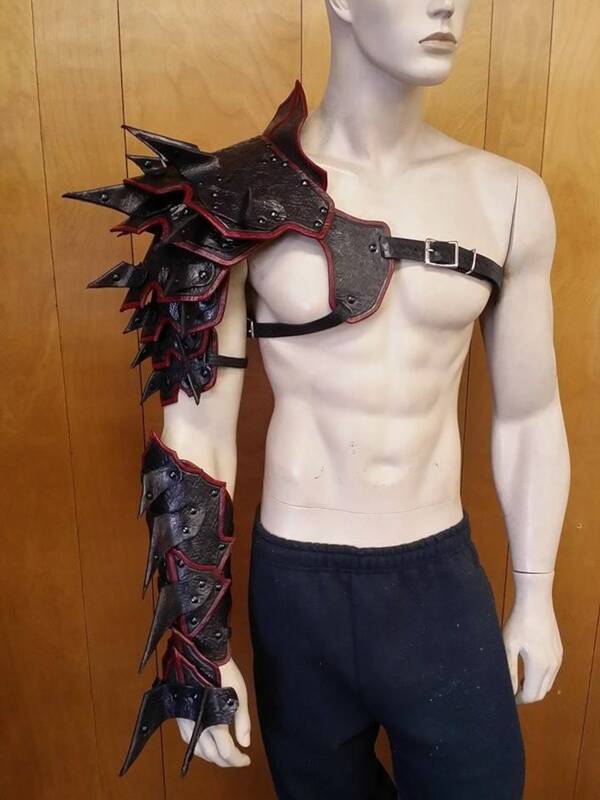 Item(s) can be made in lighter weight leather for costume use, or in heavier weight to meet LARP requirements at no extra charge. *Made in your choice of color(s). Colors shown are only examples of past work. All items can be made in any color(s) you like. *We will contact you after you order to request your measurements. All custom items are made after receiving your paid order, measurements, and color choice. Construction time may vary depending on the number of orders currently in our construction queue. Please feel free to contact me about the current wait time for shipping. Excellent Craftsmanship, Very comfortable. Great seller to deal with. Sharp Mountain Leather accepts payments through Paypal, and Etsy Payments. Returns accepted for manufacturer defect, and improper fit. Replacement, or refit items will be sent in exchange. Orders for custom pieces can not be cancelled after work has begun. If you have any questions, or need the item for a specific date please contact us before placing an order. We do not offer a cash refund on any purchase. All conversations pertaining to orders must be done in Etsy messaging. All items are shipped via USPS, or UPS. Insured shipping is available upon request. The buyer is responsible for any international customs fees, and/or taxes.